Dementia is a general term to describe a decline in mental capacity that is severe enough to interfere with daily life. The brain cells of people with dementia die at a faster than normal, leading them to lose their ability to remember, think and reason. A Well-Being of the Singapore Elderly (WiSE) study conducted in 2013 found that, in 2012, 10% of the elderly population or 28,000 people aged 60 years and above had dementia. This study was spearheaded by the Institute of Mental Health, Singapore. Alzheimer’s dementia is the most common type of dementia and accounts for about 60% of all cases. This type of dementia causes progressive loss of brain cells with the formation of insoluble proteins in and around the brain cells. The onset of this condition is gradual, and early symptoms may be missed. As the condition advances, people with dementia may demonstrate personality and behavioural changes which impede their daily life activities. While the likelihood of having dementia increases with age, it is not a condition related to normal ageing. There are also other forms of dementia, including Vascular dementia, Lewy body dementia and Parkinson’s disease dementia. Vascular dementia is the second most common type of dementia. It is a result of impaired blood flow to the brain, often after a stroke or series of strokes. It is not always easy to recognise the symptoms of Alzheimer’s dementia as they can be confused with normal ageing. For instance, it is normal to forget where one has placed his or her keys, but if the poor memory is associated with dementia, it will persist and worsen over time. 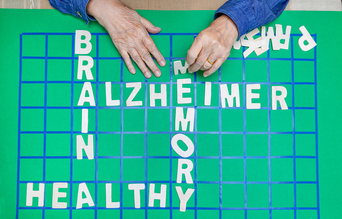 At the early stage of Alzheimer’s, a person can still function independently and carry on with day-to-day activities. However, performing complex activities will be impaired. A greater level of care and attention has to be given at this stage. At the final stage of the disease, patients are totally dependent on others for basic activities such as dressing, bathing, toileting and eating. Assessment of dementia involves detailed medical record-keeping, physical examination, cognitive testing, blood investigations, and brain imaging. Although there is no cure for Alzheimer’s dementia, early diagnosis enables patients and caregivers to have a better understanding of their condition and receive anticipatory guidance for emerging symptoms. They can also plan for the future, such as making a Will and Lasting Power of Attorney (LPA) while they still have the mental capacity. 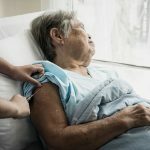 Early intervention can slow down the progression of cognitive decline, prolong patients’ ability to carry out their daily activities and delay the need to place the patient in institutional care. Dr Seng Kok Han outlines the following approaches in which doctors, family members, caregivers and the community all play a part in helping patients with dementia cope with the illness. Prescribed medications such as Donepezil, Rivastigmine, Galantamine or Memantine can slow down the progression of the illness. Antidepressants can be used to treat depression while antipsychotics can help manage hallucinations and paranoia, which can be seen in dementia. Psychological approaches include helping to orientate patients (reality orientation) and to help them focus on meaningful activities of the past (reminiscence therapy). Cognitive training can equip them with skills to decrease everyday problems and improve the quality life. Behavioural modifications are applied to help patients change specific challenging behaviours. It is important to work with family members as they play contributory roles in influencing treatment outcomes and management. Referring patients to appropriate agencies such as daycares, befriender services and family service centres can help in the aftercare. Do you lose things frequently or suspect that someone has stolen them? Do your family members complain that you repeatedly ask the same questions? Do you struggle to remember words, appointments or information that you have learnt recently? Do you feel lost in a conversation? Do you have difficulty following instructions? Do you have difficulty recognising people or remembering their names? Do you lose your way in a familiar place? Do you struggle to keep track of finances or pay bills on time? Do you have difficulties in taking your long-term medications correctly and regularly? Do you or others notice changes in your personality, such as becoming easily upset or anxious? Even if you have answered “Yes” to most of the questions, fret not! Early diagnosis and intervention allows patients with dementia to slow down the progress of cognitive decline and prolong the joy of spending quality time with their loved ones. The surest way for an accurate diagnosis is to consult a doctor. 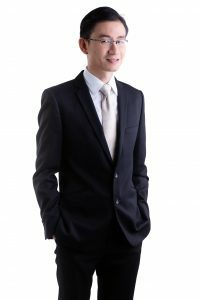 Dr Seng Kok Han is a Consultant Psychiatrist from Nobel Psychological Wellness Clinic, a member of Healthway Medical Group. Dr Seng is experienced in treating mood disorders such as depression, bipolar disorder and psychotic disorders such as schizophrenia. He also treats insomnia, anxiety, stress-related disorders and dementia.